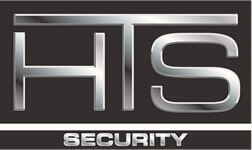 HTS Security installs and services security systems in Robbinsdale, MN. We service the entire Twin Cities and surrounding areas, as well as western Wisconsin. HTS offers basic to sophisticated alarm systems, camera/surveillance systems and access control. Robbinsdale is a city in Hennepin County, Minnesota, United States. The population was 13,953 at the 2010 census. Robbinsdale was founded on April 19, 1893. Robbinsdale was the first suburb of Minneapolis and was named for Andrew Robbins, an entrepreneur who had purchased 90 acres (360,000 m2) of land for the purpose of making the area a suburban town. In the late 19th and early 20th century, people traveled to Robbinsdale to go duck hunting on Crystal Lake. Robbinsdale has the oldest continuously active marching band in the U.S.